People are constantly searching Google for local businesses. There are a number of local SEO strategies to drive more targeted visitors to your website. 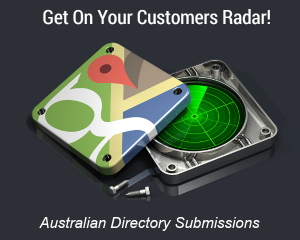 All are important, but one of the biggest local search boosts comes from Australian business directory listings. Listing your business on local directories is just as important in 2018 as it was in years gone by. But don’t take my word for it. According to the experts, having consistent NAP details (Name, Address, Phone) on the best business directories is a critical local ranking factor. Don’t do directory listings or Local SEO without a physical address. It really puts you at a disadvantage. Why? Local listings play an important role in making your business more visible in local search, and an address is required to get quality local listings. Australian business directories are not just for boosting local rankings, they can also provide referral traffic from people clicking through from your listing. So time to start finding Australian directories and submitting your business right? You’re in the right place. We’ve put together the go to list of directories for Australian businesses. But before you start submitting your business there’s a couple of things to get organised. Boost your local search ranking! 20 top Australian directory submissions completed in just 7 days. You’ll come across directory lists or submission services offering 50, 100 or even 250 Australian business directory websites. The best they will do is waste your time or worse, damage your Google ranking. Here’s why. First published in 2014, our best directory list is now updated for 2018. We started with a big net, searching for the top 100 results in Google for approximately 20 industry terms. This gave us almost 300 directories. After weeding out all the Australian business directories that failed the tests above we took one more step to ensure the remaining websites had real traffic value. Back in 2014 we used “Alexa Ranking” which was the best measure of local Australian website traffic. Fast forward to 2018 and there’s much better data available. 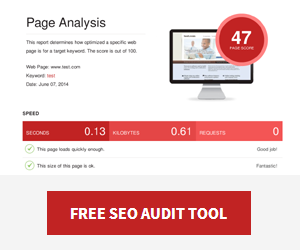 SEO tools, in particular ahrefs.com allows us to estimate the actual volume of search traffic for a website. In fact it also calculates the equivalent cost if you purchased the traffic through paid ads (Adwords), which is a basis of our ROI calculations for Local SEO packages. Here is our list of the best Australian directories for 2018 ranked by Google search traffic. All have been tested to ensure submissions are approved. With this blog post outranking most Australian directories for related keywords (no doubt you found this post Googling “Australian business directories” or something similar) we threw our hat into the ring. After launching our own Australian business directory Search Frog in 2018, it’s quickly grown into a community of over 8,000 local businesses. Search Frog features integrated Google review ratings, manually reviewed spam free listings and a whopping 230+ article blog attracting customers early in the buying cycle. Website and phone number clicks are tracking in the dashboard for easy reference. Search Frog ad campaigns get your business listing featured at the top of your category and start from just $1 a day with no contracts or subscriptions. All of the top three local Australian directories have mobile apps and loads of crowdsourced customer reviews. With a combined 12.5M monthly visitors from search traffic alone (a conservative estimate) they are an important place to list your business online to enhance your reputation. 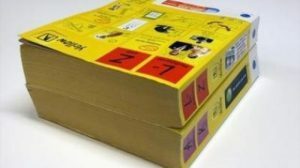 The Yellow Pages starting over 40 years ago in Australia with the annual print edition with the characteristic yellow coloured page. The world’s first Yellow Pages online local directory was launched in 1994. Today, there are more than 9 million searches per month on the Yellow Pages website. The Yellow Pages directory is owned by Sensis who also run other top directories in Australia such as True Local. Yellow Pages paid directory listings start from $30 up to $217. The higher packages include more keywords and listing features. Online since 2006, Truelocal was sold to Sensis by News Limited in 2013. TrueLocal attracts a significant number of customer reviews making it an important listing for businesses. It also has a mobile app in addition to the online directory website. TrueLocal premium directory listings start from $33 for a higher search ranking and enhanced listing features. The Yelp directory, a global player, was founded by two former PayPal employees in 2004. The Australia Yelp directory is a serious player, particularly in the restaurant and retail industries. Believe it or not, Yelp recommends you don’t ask customers for reviews. Yelps paid advertising has a pay per click model bidding for ad placements in local searches. Need a local SEO specialist? Automatically submitting business listings is a nice idea but doesn’t work well in practice. Different directories are built on different platforms and have unique fields and customisation. Some even have hidden fields to trick these submission tools. This means the listings either fail or have missing or incorrect information. A semi-automatic approach is best. For DIY, use your browsers auto complete function to assist with form completion, and then manually review the fields. Here’s a few bonus tips for getting the most from your Australian directory submissions. Search each directory for the business name and phone number to ensure no duplicate listings are created. Use consistent login details for easy followup. Make listings as complete as possible to maximise value. Vary titles and descriptions to create a unique listing. Use a dedicated email to separate confirmation & marketing emails from personal email. Expect a few phone calls from directories upselling premium listings. Check for confirmation emails immediately and after 5 days. Lastly don’t forget to ask your clients for a review of your product or service on the directories to boost your profile, referral traffic and backlink value! If you find more Australian business directories that pass the tests above let me know in the comments. I am currently in the process of setting up my profile across Australian business directories so this was super helpful. Great work Chris. Glad you found it useful Martyn! +1 This is a great list. Thanks Chris. I have used these local citation sites list for my Australian based local directory site and got positive moves on local traffic. Thanks you so much .. Awesome list, you put lots of efforts for collecting this awesome source for business sources in Australia location. It really helped me a lot, and it saved lots of my valuable time. Thanks for your awesome Listings! Thanks for the feedback Sai! Thanks for this tremendously useful list. As you mentioned that we should use unique title, It means unique Business Name in each listing? However, google only considers NAP consistency if we want our business to be ranked for local search. Consistent NAP (Name, Address, Phone number) is important, thanks for mentioning it. An example of an inconsistent business name might be 24 Seven Widgets, 24/7 Widgets, 247 Widgets. So for business listing titles keep the business name itself consistent, but add a keyword or slogan after it for some listings (ie SEO Copilot Australian SEO Packages). This adds keyword relevancy without interfering with the business name. I still have confusion in Business Title though. In case, if we are intended to rank locally, then can we add a city name (ie SEO Copilot Greenvale) ?? Hey Nand, The city name is already on every local directory listing, and they optimise the listing pages well for location, so no need to add it to the title. Never mind, I’ve another question as well. If a business is mobile (like; the client provides on-site services) with only 1 physical address and he/she wants to cover his/her suburb area, so, how will he manage to rank his business in google/yahoo/bing local? I will really appreciate your reply. Local directories often have an option to display the business suburb without showing the full address. Some like Google Local will also allow you to specify a service area as well. Be sure to target keywords with on site service intent, for example “mobile” related keywords like “mobile auto electrician”. Great list Chris, thanks. All PRs check out, PR3 to PR7. Thanks for checking the PageRank Dave, although it hasn’t been updated since 2013 it is a useful metric to see if the directories are well established. Thanks for the list, helped me out a lot! Thanks for the fantastic list. Just started a local SEO campaign and need a good list for a Australia wheels store. I noticed Yelp has been giving an issue though, says site is flooded, tried a few times. Bummer! Glad you found the list useful Mozie! Thank you so much for this list. Exactly what I needed. Mine is an online business but locals come to my house and pick up product to save on shipping cost so I have been putting in surburbs and postcode and in some cases the street name without the number. Do you think that’s ok? Wow! thanks chris for sharing this list. It will not be a hassle for me now to keep on looking for the best directory listings in Australia. Good list of Aussie directories and solid advice. My company website is listed in several of these. Do you think it’s wise to revisit these directories occasionally to make sure my website is still in there and to update the description to keep it fresh? Hi Steve, Yes periodically reviewing local directory listings is a good idea. You can add new information like additional social media profiles, expand the best performing listings with more unique content, and create new listings on other quality directories. Hi Tess, Thanks for the feedback and well done! Great list! I found it very helpful since I’m also planning to include my company on different local directories here in Australia. Thanks Chris! @Jeff @Amanda Thanks for the feedback! Great Article! I noticed though that Rave About IT and Shop Seek are both not active now though. Thanks Brent, both of these have been removed from our internal list – I’ll update this post later in the year to share our current local directory list, and perhaps show changes year on year. I know its been said before but I will say it again, great list! I am doing some research and found your post, the 20 domains listed are much appreciated all but one on the list have a domain authority of at least 30 which is great, the average domain authority across the whole list is 47.9….so it is a very very good list, thanks. Thanks for the DA info Adam! For those wondering what Domain Authority (DA) is, it’s an SEO metric developed by Moz.com that predicts how well a website will rank on search engines. Top 20 Business Directory Listing was a bonus to find on your SEOCopilot website. Similar to other comments a great job, needed to know this for citations so much emphasis on US directories otherwise. Thanks again. Hi Chris, is the list up to date except for Rave About IT and Shop Seek ? Hi Scotty, all the directories listed are still on our internal database except those you mention and Company List. Could you please share some Business listing websites of Australia which provides Dofollow links. There are some directories in this list which have do follow links. You can use a browser extension like “NoFollow Simple” for chrome to find them. Hi Dianne, Some of these local directories will be stronger than others in different industries, although they all have value across the board. Niche directories focus on specific industries and can provide good relevancy signals. Try searching Google for “[industry keyword] add a business” or “[industry keyword] directory” to discover niche directories to list your business. Just working my way through your list and submitting our listings. A fantastic resource you provided there, Chris! My advice to others in regards to the Yellow Pages listing would be to insist on the inclusion of website and email with your free listing. I just talked a Yellow Pages consultant and he tried to mislead me by stating that you can only include your website and email with a paid listing (which is not true). Good luck with your rankings everyone! Thanks for sharing your experience Ralph! You’ve consolidated the task of hunting down business directories. Saved me lots of valuable time to concentrate on other things! Thanks Chris, this is a really good starting point, and I was a bit surprised at the ranking list – some sites are really surprising! Great resource! Its hard work adding yourself to all these directories, but its worth it for SEO purposes! This is a great resource. Saved me lots of time! Thanks! Thanks for the feedback Scott. Creating directory listings is time consuming, especially if you want to make sure they are populated with quality content for best impact. That’s why we created the directory submission package to save time for business owners. Well done on the Directory List! This was the first page I clicked on it’s exactly what I was looking for. Really Thanks from my heart, for the fantastic local business directory list. Just started a local SEO campaign for app development company and need good website list for Australia, Thank you So much, Keep it Up. This is a great list indeed. Local area wised business directories are very effective if you have a site that is local area based. I’ve delighted to find this Australian local business directories resources. Actually, I have got a client, he has a site based in Greensborough. And I’m looking forward to making a listing on the above directories. Hi Chris, please share some new business listing sites for 2017. We are looking forward to your latest resources. Is there an updates list for this topic for 2017, since this article was posted in 2014. Hey Fred, Warun, There will be a 2017 local directory update soon. To be alerted check your site using our free audit tool and join our newsletter. Bookmarked this page. Now heading to these sites to submit my business listing. But I wonder if you have a new list of local business directories for this year. Anyway, thanks for sharing. Hi Chris. I’m not in your field or anywhere near it…just a business owner doing some research so excuse my ignorance re the Alexa Traffic Ranking. Is the highest number the worst and the lowest number the best such as yellow pages or visa-versa? I couldn’t find my LocalSearch in Port Macquarie NSW. Thank you for your helpful article. Think I’ve listed on all of them ! Excellent list – niche directories are hard to find. Helpful information! Thanks for sharing! These suggestions are really helpful – especially when there is so few directories available in local Australian niches. Really grateful for your effort to put this together! It seems that your missing localsearch.com.au. It’s generally always on the first page of google in the areas it services. Hey Daniel, Local Search is a great directory focused on regional Queensland and NSW. So it didn’t make the list as we are talking National Australian directories open to all Australian businesses. Great list of Aussie directories you have there, it’s helped my website rank very well in only 3 months. Keep up the good work! Thanks Chris for keeping the list updated as majority of the list I’ve seen from other websites were outdated and some of them were long gone. Love this list, I’ve been using your last one for years. I focus only on marketing for construction companies these days and one directory that seems to provide decent do-follow links is dlook.com.au – I’m interested to see if this came across your desk while putting this list together? Hey Marcus, thanks for the feedback 🙂 We are aware of dlook although it seems to have issues with submission so wasn’t considered. If you are affiliated at all get in touch. Handy list of directories. Thank you for putting them together. Thanks for sharing these local business directory list. I was looking for an up to date list of business directories. This is a great information. Thank you for sharing with us. Hi, I have a question .In order to optimise the business on the search engine. Does the business name have to be the exactly the same name. If the name is Fast Locksmiths on the google listing does it have to be that exact name on the business directory listing? I’ve bookmarked this so we can refer this to our clients should they continually ask us about the benefits of business citations and directory listings.